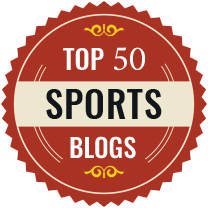 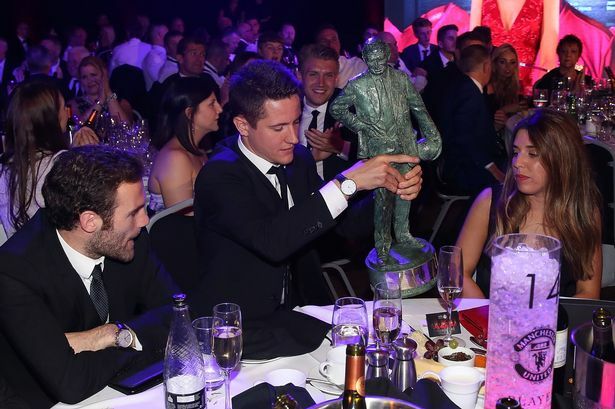 The Red Devils midfielder Ander Herrera bagged the Manchester United Player of the year – beating top goal scorer Zlatan Ibrahimovic and Antonio Valencia, through maximum fan votes. 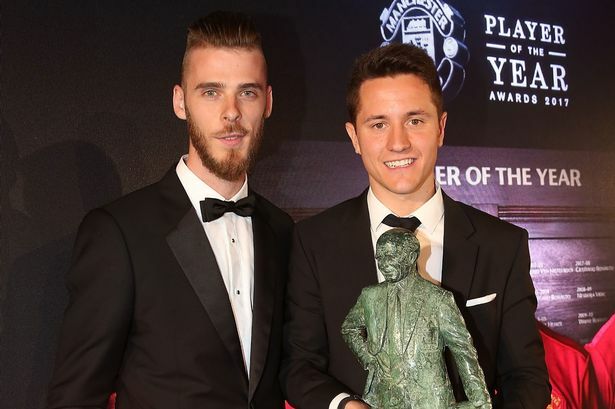 The award named the Sir Matt Busby Player of the Year which is awarded by fans has been won by United’s goal keeper David de Gea from the past three years. 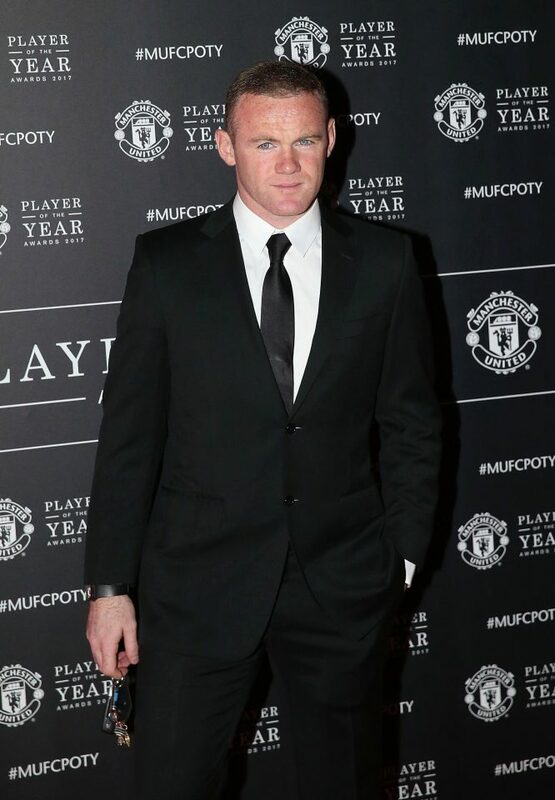 “He’s an amazing player, top guy, a good friend but he’s an emotional player, he plays with his heart on the pitch. 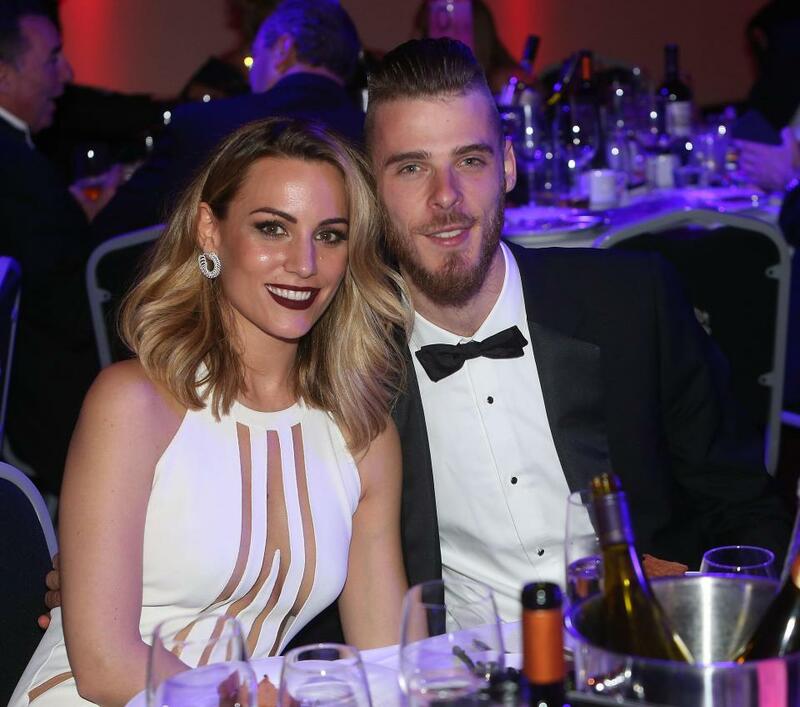 He’s a good player, to be fair,” said de Gea on Ander’s win. 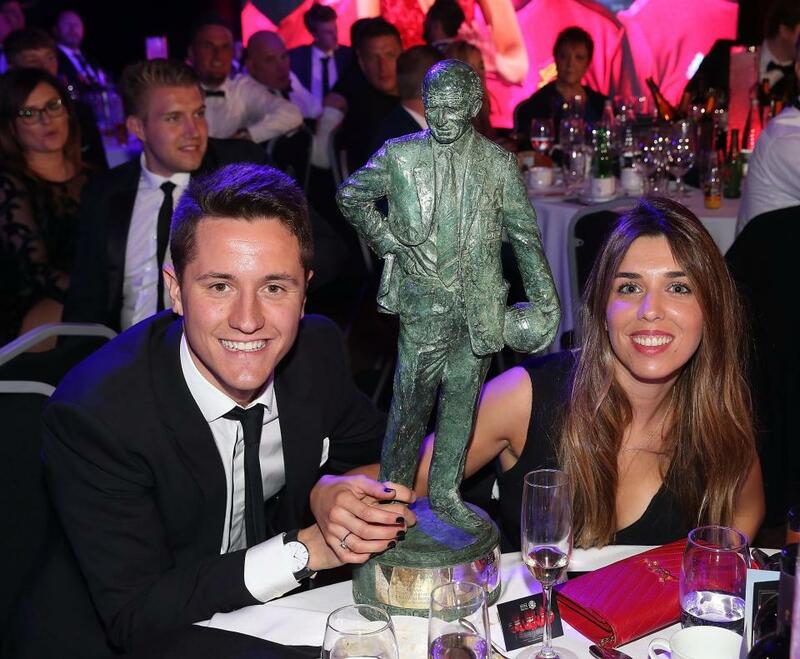 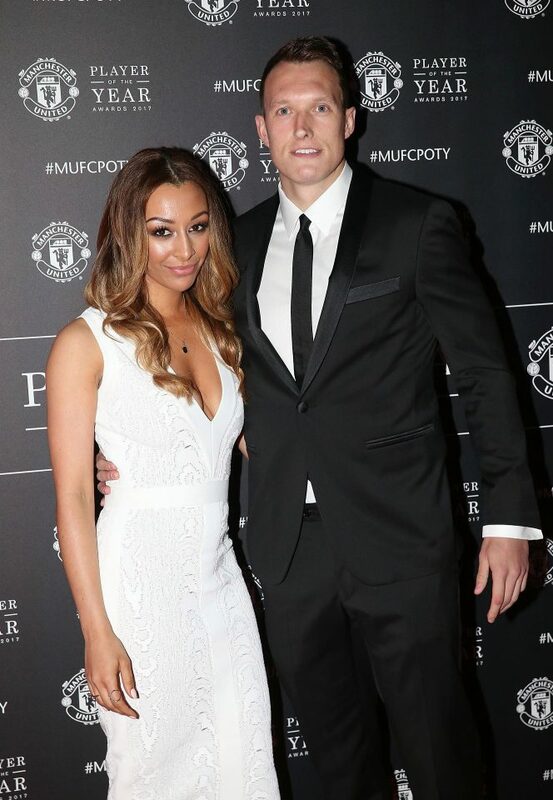 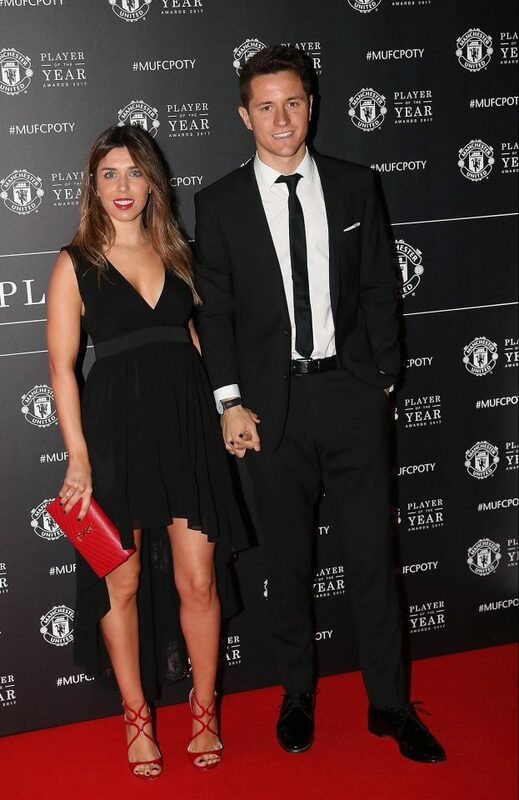 Ander Herrera was present at the event with his ravishing other half. 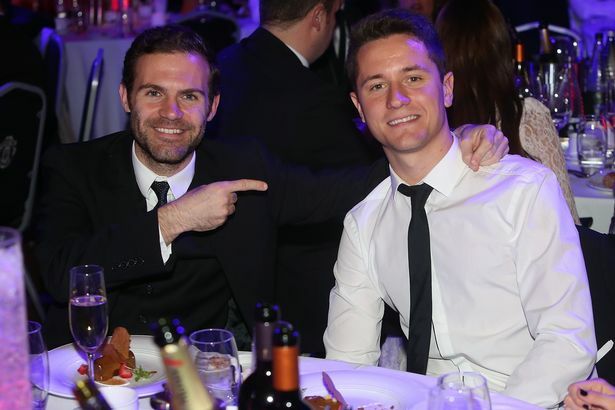 Herrera was bought by United from Atletic Bilbao at a cost of £28million in 2014 and has been a crucial member at the old Trafford. 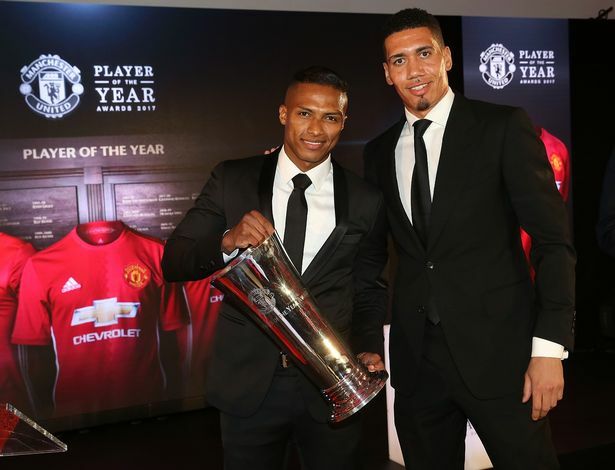 Antonio Valencia who has been outstanding in a new full-time role at right-back, having been converted on a permanent basis by United boss Jose Mourinho, took home the Players’ Player of the Year award. 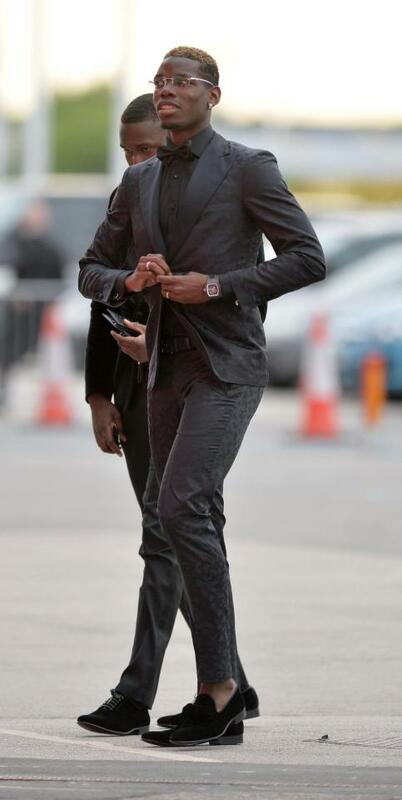 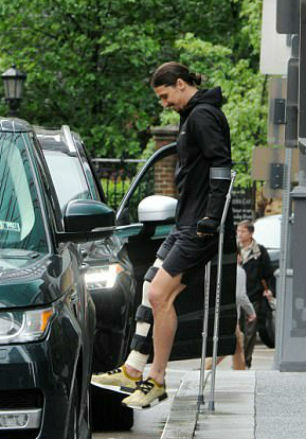 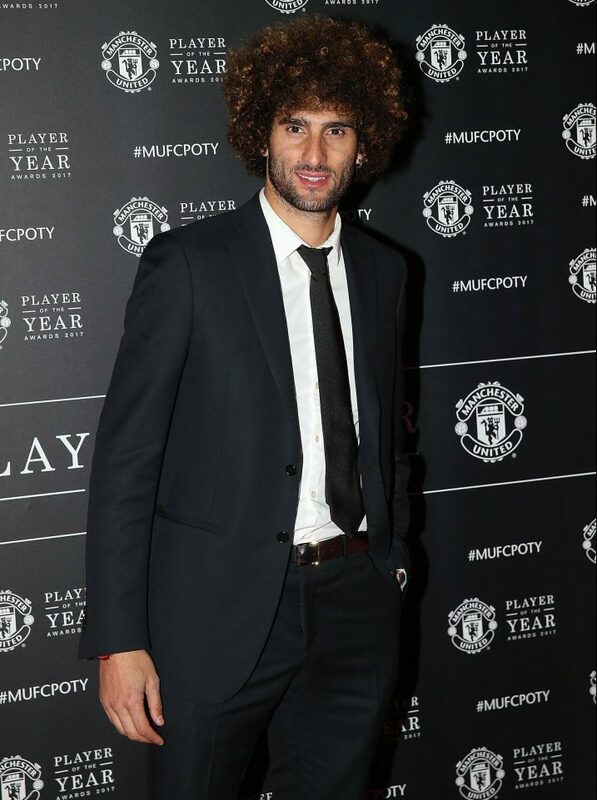 The event was graced by most of Manchester United’s player including Paul Pogba, Marouane Fellaini but excluding injured Zlatan. 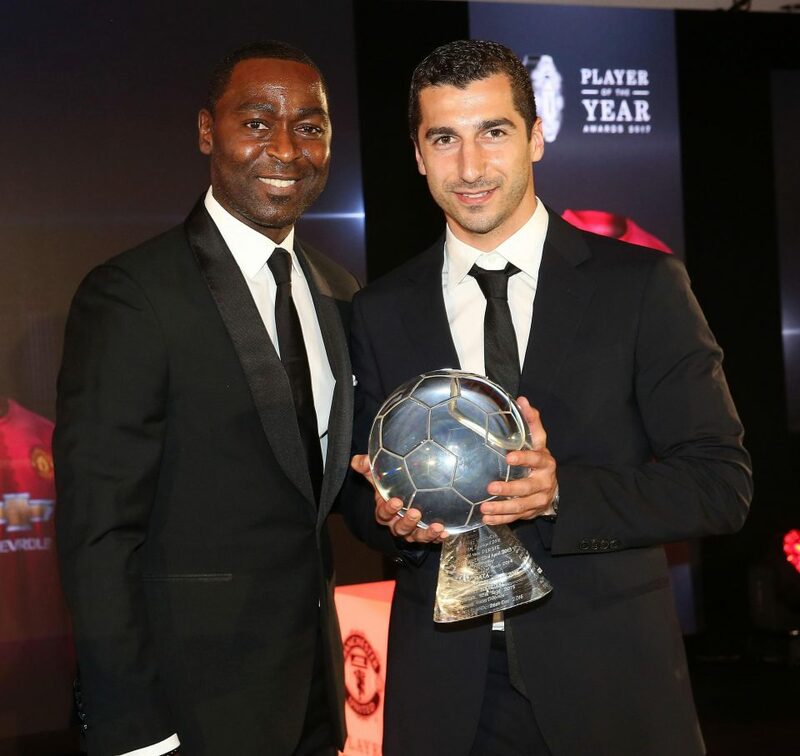 United legend Andy Cole was also present at the bash and he also presented Henrikh Mkhitaryan with his goal of the year award. 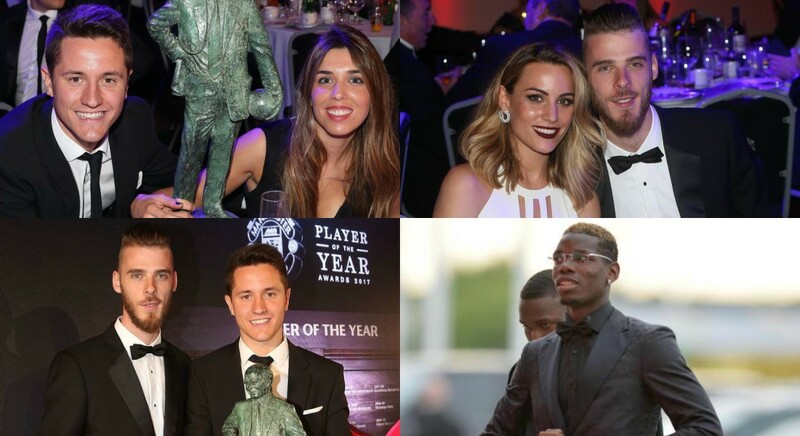 Cris Smalling and his girlfriend Sam Cooke along with Man of the moment Sergio Romero with his wife Eliana Guercio also graced the event. 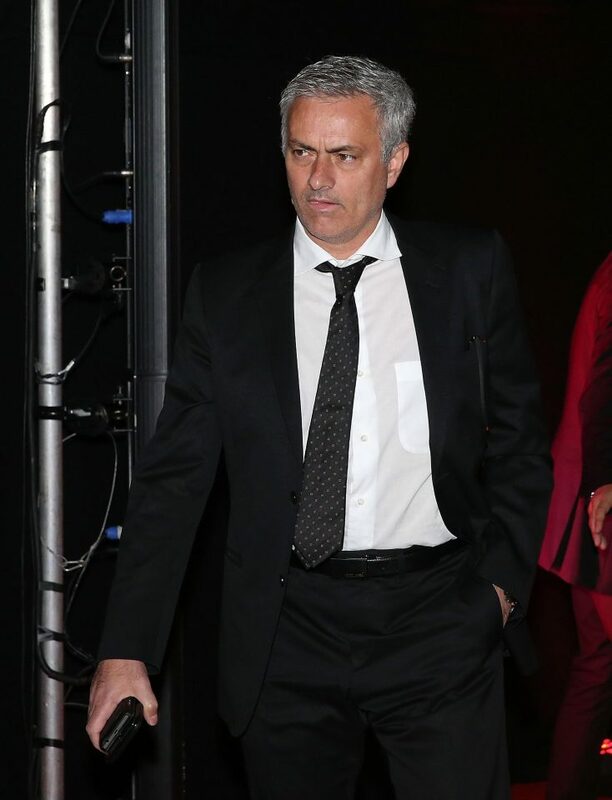 Although United’s current shining stars Luke Shaw, Ashley Young and Marcos Rojo were absent at the Old Trafford.